"I walked in and there was this stunning woman sitting behind a desk with Alan standing on it just in front of her. As I walked in she looked at me and said, "Don't talk! Oh, my god, you've got those big eyes and the cleft in the chin and the cheek bones, and if you were blond you'd look very much like Alan." In 2001 we spoke to actor Matt Zimmerman about his career and how he became, for a generation of children, one of the most recognisable voices on television. Few jobbing actors are lucky enough to enjoy a career, which spans not only decades, but also success in many different areas of their chosen profession. Even fewer still are fortunate enough to carve themselves a place within the hearts of literally generations of the television viewing audience by sheer dint of their vocal prowess. Matt Zimmerman is one of those select few. 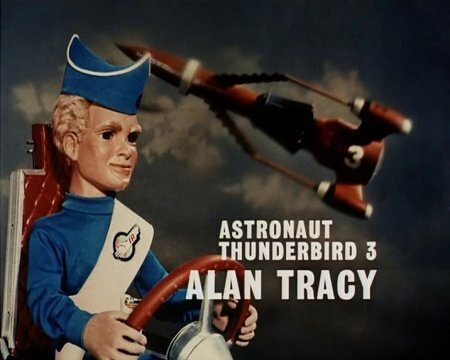 Witty, insightful and armed with a wealth of anecdotes, the erstwhile voice of Thunderbird 3 pilot Alan Tracy graced us with both an interview and an evening which will endure in our memories. Matt was born in Sudbury, Ontario, although the chances were that he could have been born anywhere between Canada and the USA. "My family were a bit nomadic," he recalls. "My father had an orchestra and they were on tour at the time, so when I was born in Sudbury they decided to buy a farm and a business and settle there." However, that wasn't to be the last of his family's travels and by the time Matt was old enough to go to school he found himself living in both Canada and America. "I actually went to school in Detroit and did my first radio show there as a singer." He admits to being in love with the business from the very beginning, but never thought it would pay him a living and so he went to university and became a certified chartered accountant, a shorthand typist and an actuary. While he was studying in Detroit he also worked for the Mayor of Windsor, Canada, as his private secretary. Considering his father's background it's surprising to hear him say that he received very little encouragement from his parents, even though he was obviously a natural performer. However, this talent did not go un-noticed by others around him. "I had a teacher at school called Eleanor Wainwright who encouraged me quite a lot in drama class, but there was one woman in particular, an Italian friend of our family who was a great influence on me. 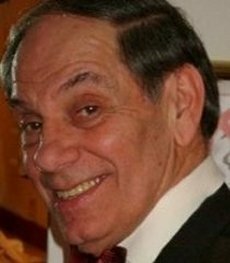 Her name was Enez Pegoraro and from the time I was ten she was saying to me 'Get out and do something as soon as you are old enough because you can't be sticking around here.'" Taking Enez's advice Matt began performing in a number of shows and soon found himself to be in demand. Doing a remarkable imitation of Laurence Olivier, Matt recalls, "I was going to be a great Shakespearian actor, you know. I was terribly into the classics and I worked with George C Scott in Detroit, and I played Hamlet at 18." Some friends of his were appearing at the Western Ontario Drama Festival doing Andromache, a classic play by Jean Baptiste Racine. When the leading man was taken ill Matt's friends informed the play's director that he would be ideal for the part, as he'd studied it at school. "I was doing another show at the time when they called and said 'Can you get a couple of days off?' So I went down and rehearsed it very quickly with them, did it at the drama festival and won best actor award." That gave Matt Canada-wide fame, and as a direct result he was awarded a scholarship from the Canada Council of Arts to study abroad. It was the first time that such an award had been bestowed on an actor. And so it was that in 1959 Matt came over to England and did an Advanced Professional Course at the London Academy of Music and Dramatic Arts and had what he describes as, "a fabulous time." It was around this time that Matt met his future wife, Shirley. "I actually came over to England with my girlfriend but we broke up not too long after we arrived. We were both offered a play back in the USA and she went to New York whilst I decided to stay and finish the course at the Academy." Within a day of her departure Matt was besotted. "Shirley was over here from Vancouver (although she was born in Manchester) studying voice, before she joined Sadler's Wells Opera Company. I proposed within ten minutes. I said "I'm going to marry you," and she said, "I've already got a fiance" to which I replied, "I'm sorry about that but this is on the cards, you can't avoid it," and we married about a year and a half later." 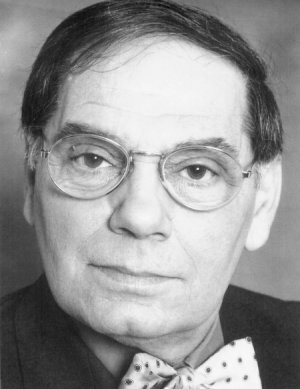 Matt left drama school in 1961 on completion of his course and, armed with a stack of written testimonials, he began looking for work in the theatre. "I had all these letters from people like Tony Guthrie and Michael Langham, and I went along to the National Theatre and gave them these letters." Matt was in luck, because Laurence Olivier decided to see him personally and after a short interview offered Matt a contract. "I still wasn't used to English money but as I came away it occurred to me that I was living in a flat that was costing me £15.00 a week and Laurence Olivier had just offered me a contract that paid only £12.00" However, as Matt came away from that meeting he was walking down the street when he met an old friend of his, Eddie Roll, also an actor. "I knew Eddie from New York and I told him that I'd just been accepted by the National and he said to me 'Do you want to do straight theatre?' and I said 'I don't really care, I just want to work.' He said, "We need an understudy for Tony in West Side Story, are you interested?" So I said "Well, what does it pay?" and he said "£45.00 a week" so I held out my hand and said, "Shake!" 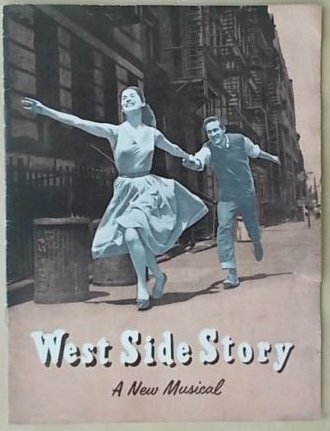 So from drama school Matt went straight into the original British company of West Side Story, which was at Her Majesty's Theatre, understudying Tony and playing one of the Jets. "I'd been in the show two-weeks and Tony was off! I remember a moment at the beginning of act one and Tony's on the ladder just as he's going to sing, (Matt begins singing) 'Could be...who knows...' I was petrified! Here I was on the West End stage and sitting on the ladder and I was supposed to start singing eight in. I counted eight in, then sixteen, twenty four...thirty two." In spite of his stage fright, Matt finally found his voice-but not before he'd given mild heart attacks to the conductor and every other cast member in the show. Finding full-time work in England proved a little difficult at first and Matt took whatever came along including jobs as singer and comedian in various West End nightclubs. "From a young lad, and all the way up until I came over here it was all so easy. I mean, I never had an agent in America or Canada, and the phone was always ringing with people saying 'We want you to do the lead in this or dance in that or sing in the other' and I'd say 'Oh, yeah. I can do that.' And then I came over here and everyone said, 'You've got to have an agent.' And suddenly you'd go up for a role and there's not just you, there's two hundred, and they're as good as you and sometimes even better! So it was a big shock and I had to reorganise my thinking about the business." Matt continued working in the clubs until he began finding himself roles in a number of other shows, although it was a friendship he formed on West Side Story that was to prove most significant to him. "I'd understudied David Holliday who had been cast to do the voice of a character in a series called Thunderbirds. They were having great difficulty in casting the part of Alan Tracy as they wanted a certain sound for him." "I was in a show called High Spirits at the Savoy Theatre when David phoned me and said "Give Sylvia Anderson a call, I've told her about you." So I phoned the company up and arranged to see Sylvia." That first meeting was certainly a memorable one. "I walked in and there was this stunning woman sitting behind a desk with Alan standing on it just in front of her. As I walked in she looked at me and said, "Don't talk! Oh, my god, you've got those big eyes and the cleft in the chin and the cheek bones, and if you were blond you'd look very much like Alan." She said, "Now, sit down. What's you're name again?" And I said, "My name is Matt Zimmerman and I'm from Detroit, Michigan" and she said, "That's the voice!" And that's how I got the job." Although the first episode for this new series had already been recorded with Ray Barrett (John Tracy and The Hood) saying Alan's single line of dialogue, Matt was introduced to the rest of the cast and they soon began a regular routine of recording. "We used to record the stories once a month on a Sunday and we did three episodes at a time. We'd go down to Slough and to a small studio where we'd have a read through of the first script and at that point Sylvia would say "Matt, can you do the voice of that other character too, and Shane you do this one and we'd share the voices between us, and if Alan was very prominent in a particular episode you didn't do so many because, unlike David Graham, we couldn't always disguise our voices. I remember Sylvia as being very prominent in those early days whilst Gerry seemed to be more in the background." Matt has very fond memories of those recordings and can remember the studio always being filled with laughter. "It was great fun, and what's more we did it on the Sunday and the cheque arrived Tuesday morning!" 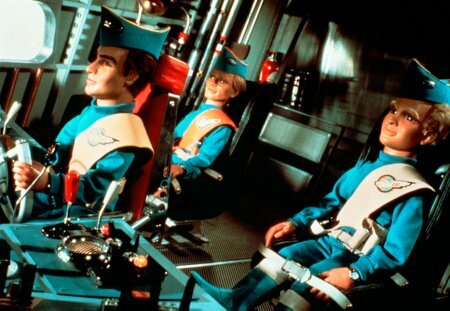 Originally Thunderbirds was meant to follow the same 30-minute format as previous Anderson series. "Then one day Gerry came in and said 'Lew Grade has seen the first episodes and he's said that this has to be an hour long.' So then we had to go back and re-do the stories adding another story within the story. I think the whole premise was that America would buy it if it ran a certain length and a certain number of episodes. Lew Grade knew what he was doing and was very in tune with the public taste too. So we did 16 episodes and it went out on television and within the first two or three episodes being broadcast the phone was ringing for interviews and suddenly, which was unknown to me, they wanted to know the people who did the voices." Matt also remembers there being very much a family atmosphere at the recordings. "Peter Dyneley (Jeff Tracy) was like a father figure in some ways and there was a great friendship between all of us, Shane and David and Ray Barrett. Then we suddenly got the call that they wanted another 16 episodes, so we went back, did those and then of course we did the first film, which was colossal." There's no doubt at all that Thunderbirds was an instant phenomenon and captured the viewing public's imagination from the word go. "The effects were amazing, all the puppets were new, the eyes were very real and they had electrodes in their heads so when my voice played on the tape Alan's mouth moved. There is a theory about this business of the way they walk, but if you watch it carefully you'll notice that Gerry always tried to avoid them walking. Only on rare occasions do they try to walk. The rest of the time they either just appear in a doorway or they move to sit down. He went to elaborate length's to hide the strings." The appeal of the show was universal, and has so far managed to recreate itself with every generation that discovers it. "One of my treasures is that the astronaut Alan Shepherd was a fan of Thunderbirds and he signed an Alan Tracy/Thunderbird 3 card 'Best of Luck namesake, Alan Shepherd.' They came over from NASA, the man who built the nose-cone for the rockets was holding my hand and holding out a card saying "Can you sign this for me?" and I was saying "Why me?" and he'd say "Because Gerry Anderson did on screen things we are starting to do now!" "I can't explain its appeal and what I can't even explain more is that I've been in situations where directors and producers who are in their fifties and sixties become like children when they find out what you've done. In the 1970's my wife was working with a very famous conductor whilst she was singing at the Opera House and we had lunch together. He said to me, 'And what do you do?' And I said, 'Well, I'm basically in theatre." And without much enthusiasm he said, "Oh, yes -very interesting. Do you enjoy you're wife doing opera?" And I replied, "Oh yes, I'm a great opera fan and I would have liked to have been in opera but my voice just wasn't good enough." And with the same lack of enthusiasm he said "Oh yes, of course." And at that point my wife said, "And Matt was also the voice of Alan Tracy in Thunderbirds" He suddenly sat up and said, "What?" And with a sudden look of newly found admiration he said to me "I love Thunderbirds, I'm crazy for Thunderbirds, this is wonderful, you are famous!" And then he asked me if I had a souvenir, but the only thing I had on me at the time was a sticker from one of the movies, which he took. This famous conductor drove around everywhere with Thunderbirds Are Go stuck to the bumper of his car!" In Matt's opinion, he got the best character of the lot. "Alan was the one character that showed emotion. He used to get upset if he couldn't go on a mission, he got jealous if Tin Tin talked to another man and he was a very real character. In fact I can tell you a true story about the puppets of Alan and Tin Tin. They were hung up each night on either side of the studio, but every morning they were side by side again." Matt, smiling mischievously, and with just a hint of mockery in his voice continues, "I strongly suspect that someone was doing it, but they never found out who it was. I think that some of them believed that Alan got there on his own!" For such a successful series, Thunderbirds came to a very abrupt end when Lew Grade suddenly pulled the plug on it. "You see I never knew this, but it was bought up the other day. We thought that that was all he (Gerry Anderson) wanted to do and we were all doing other things at the same time. But after the first film we did another two years later, so for me Thunderbirds was still going." "I got a call from Gerry to do Captain Scarlet and I laid down some recorded material like "Red Alert" and that sort of thing, but by that time they were a bigger company and they were no longer recording on the Sunday's, but all through the week, and I wasn't available." Soon after Thunderbirds finished Matt did a series of musical shows for the BBC called the Rogers and Hammerstein Hour, although he remained comfortably at home in the theatre. "In the late seventies I was doing Annie and a job came up for a TV commercial, which I had great success with. They signed me exclusively for 4 years to Wrangler Jeans playing a character called Richenbacher. I did 13 commercials and as a result of that campaign Wrangler had a wonderful success. So did I-it paid for my first house." There was one more appearance in a Gerry Anderson production. 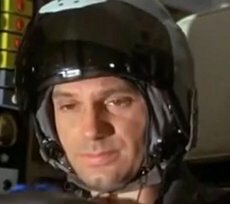 "I did the first episode of UFO but my character got killed in it and they packed my face out because in the story I'd been involved in an accident. But the way they made me up meant that the dialogue was spoiled and when they discovered this I was unavailable and they dubbed another voice over mine. 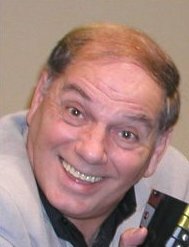 So there I was, all those years working with Gerry as the voice without the face and finally I get my face in front of the camera and it's not my voice!" "I landed a part in the Academy Award Winning film A Man for all Seasons by Robert Bolt. I got this call and they said, 'We're looking for a man who's a dancer, but doesn't look like a dancer, who can run, because at the beginning of the film there's this messenger and he's running, and he has to run beautifully, and he has to be tall.' I said, 'But I'm not tall.' But they said that Fred Zinneman, who was the director, wanted to see me anyway. I was convinced I wasn't going to get the job because I wasn't tall enough until I was introduced to Fred who was half my height! But without doubt the biggest thrill is that as the credits come up at the end of the film they read 'Matt Zimmerman and Vanessa Redgrave, in that order." After that Matt made appearances in a number of TV shows including Crackerjack, The Hitch Hikers Guide (episode four) and Fry and Laurie's version of Jeeves and Wooster. He recently did an episode of the science fiction series Lex, which was filmed in Halifax, Canada. "I also just did a voice-over for the musical show Peggy Sue Got Married, and I was offered a tour this year but I've been touring for five years and so on this occasion I declined the offer. I've enjoyed my career and it's been extremely varied. I'll have been married forty years next year and we value our marriage, our home and our privacy first. We have a wonderful relationship." Matt looks back on his career and particularly his association with Thunderbirds with great affection, and it's an affection that seems to be reciprocated by an adoring public no matter what age they are. Everyone is pleased to meet one of the artistes who voiced one of the most popular children's series of all time. "My opinion is that because they were puppets and people took to the puppets they wanted to give them a life, and one way to give them a life was to know the person doing the voice. It's a nice feeling and it's a very warm feeling and it's going to be on my tombstone 'He was a dummies voice!' A dummies voice indeed, but no dummy himself-Matt Zimmerman is now forever enshrined as the vocal incarnation of the youngest member of one of the world's most admired puppet families. The true measure of his mettle is the fact that success across many different entertainment disciplines has left him as open, approachable and down-to-earth as when he took his first tentative steps into the acting profession. 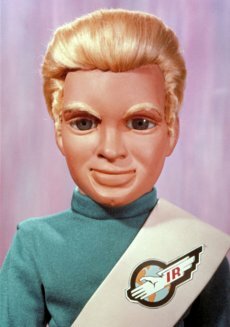 The character of Alan Tracy might well have been one of the prime aspects of the appeal of Thunderbirds. But the actual truth is that it was Matt Zimmerman's intelligent and well-judged vocal contribution to the winning Anderson ensemble, which was really F-A-B. Matt Zimmerman was interviewed by Laurence Marcus & Paul Webb in 2001.